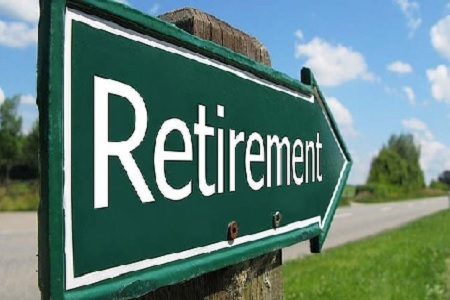 Application Retirement — Is Documentum On Your Top 10 List? The concept of application retirement is simple and well-understood by most IT professionals, but for those not familiar it is the idea aging applications are eventually retired or shut-down for reasons ranging from a better, more innovative solution becoming available, for consolidation, for cost and/or risk reduction, and because of new legal (i.e., eDiscovery) and/or regulatory requirements. There other motivations as well, but where there seems to be less understanding, or certainly less agreement, is what should be done with the associated application data? As we begin to tackle that question, let’s look at a well-known and widely deployed business application that has definitely made many of your top 10 lists for application retirement: Documentum. What is its future within OpenText? Will any further upgrades be introduced? Will bug fixes and interoperability challenges be addressed? Will support be maintained, and will there be increases in support charges? And, are there additional changes of ownership in its future? Is this series of changes the final push you have been waiting for to escape your reliance on huge, expensive, and complex ECM systems? Is this an opportunity to explore and move to a more agile, easier to manage, safer, more reliable, solution that reduces costs and improves end user interactions? It is inevitable numerous Documentum installations will be retired over the next few years. Consequently, the question regarding what to do with the legacy Documentum data will need to be addressed. Whether you are planning to move to another in-house ECM platform, a public-cloud ECM application, or a combination of the two, the creation of a data strategy up-front will save you a tremendous amount of time, money, and headaches. In creating your strategy one of your first steps should be to evaluate and categorize your Documentum data. The questions you should be asking include: is it business critical data you need to have quickly and easily available, older less-critical data that must still be retained for legal and/or regulations compliance, or non-operational outdated data that can/should be disposed-of? Many IT professionals employ a team approach to this process, enlisting the support of business-line managers, compliance officers, lawyers, and even the C-suite to answer these questions. Once these questions are addressed, where to move the data is the next thing to determine. You could move it to a new, in-house ECM platform, but most IT professionals that have been down this road before will tell you this would likely be your most expensive and slowest option in both the short- and long-term. The smartest alternative, which is for the most part common sense and also proven by experience, is to migrate low-touch or inactive Documentum data that must be retained into a low cost cloud archive. Here you can store it securely, access and search it quickly, manage it with retention/disposition policies, and export it when needed for response to regulatory or legal requests. These same benefits hold true when migrating your Documentum data into a next-gen ECM application. By first extracting and archiving the low-touch data to a low-cost cloud archive, you can shorten the time and complexity of migrating to a new, improved, lower-cost ECM application (bye-bye expensive and outdated Documentum). Over the years, I have worked with countless organizations that invested heavily in large, complex ECM systems. Over time, many of these systems were pushed-aside for superior, easier-to-use, more cost effective alternatives — a great example being the meteoric rise and ongoing popularity of Microsoft SharePoint. And, whether the move was to another onsite platform, a cloud solution or a hybrid approach, the most important factor in whether IT professionals looked back with pride on the move (or growled in response when asked) was the solution they utilized to actually migrate their data from the old to the new ECM solution(s), and was then able to enhance their data management capabilities. When moving to the new solution, don’t underestimate the importance of the actual move — it’s all about the move. Bill Tolson has more than 25 years of experience with multinational corporations and technology start-ups, including 15-plus years in the archiving, ECM, information governance, regulations compliance, and legal eDiscovery markets. Prior to joining Archive360, Bill held leadership positions at Actiance, Recommind, Hewlett Packard, Iron Mountain, Mimosa Systems, and StorageTek. Bill is a much sought and frequent speaker at legal, regulatory compliance, and information governance industry events and has authored numerous articles and blogs. Bill is the author of two eBooks: The Know IT All’s Guide to eDiscovery and The Bartenders Guide to eDiscovery. He is also the author of the book Cloud Archiving for Dummies and co-author of the book Email Archiving for Dummies. Bill holds a Bachelor of Science degree in Business Management from California State University Dominguez Hills.